Here are some of the many photos I took during the trip, in no particular order. The Shire Land Rover Club entry, 2 Discoveries and a Camel Trophy Freelander. 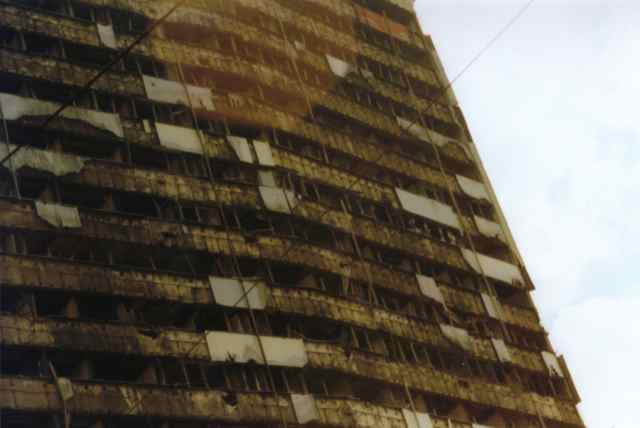 A tower block in Sarajevo, still standing despite the huge damage inflicted by artillery. 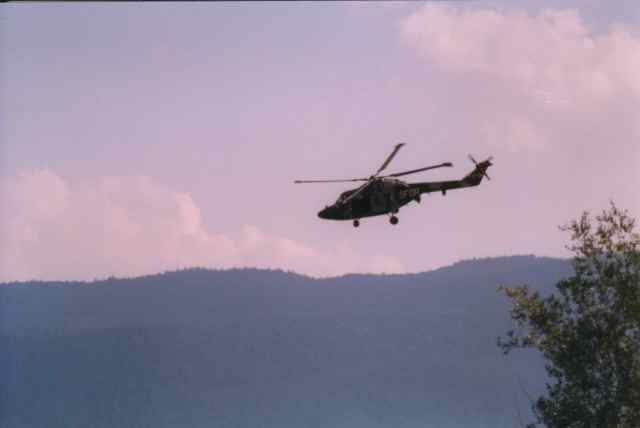 This is the view from the artillery positions on the hills surrounding Sarajevo. 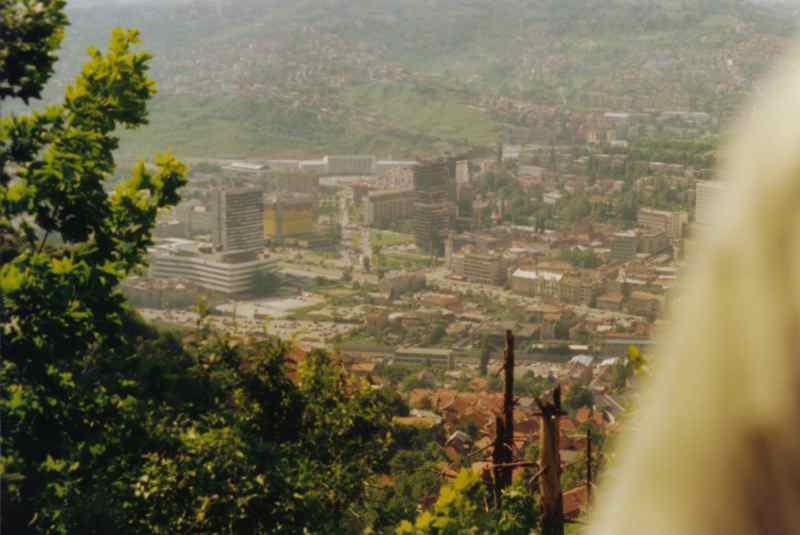 The yellow and brown building is the hotel where the war started. 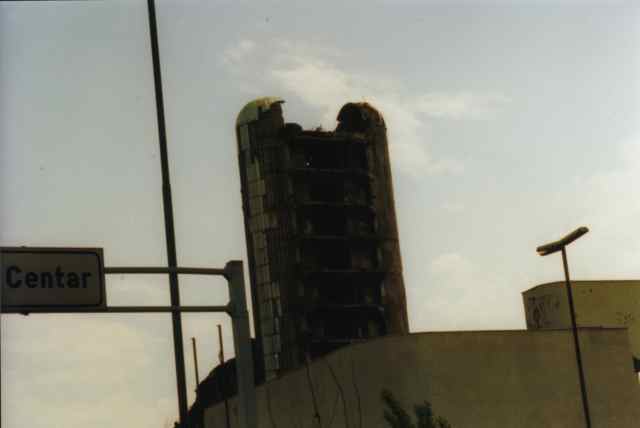 Another destroyed tower block on the outskirts of Sarajevo. 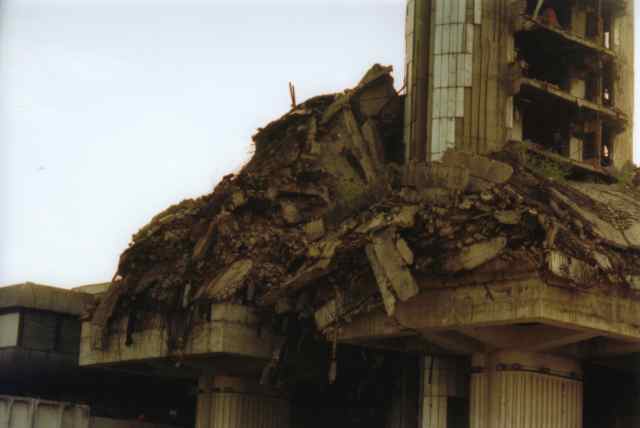 Another view of the same building. Not sure but I think this is the press building where they produced a newsheet every day from the basement throughout the siege. 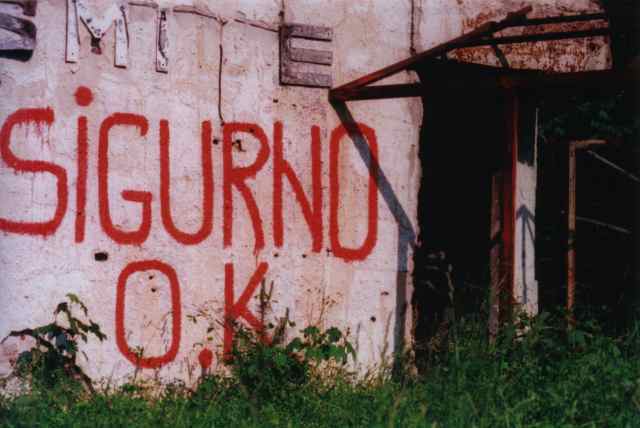 Many building were marked 'Safe' after being booby trapped by retreating troops. View from Grossglockner - Austria's highest mountain. 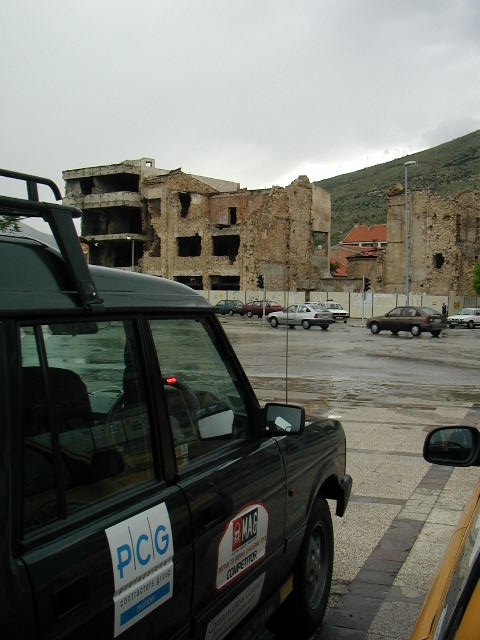 The coast road from Dubrovnik to Split in Croatia, in convoy with Croatian Police Land Rovers. Unforgettable! 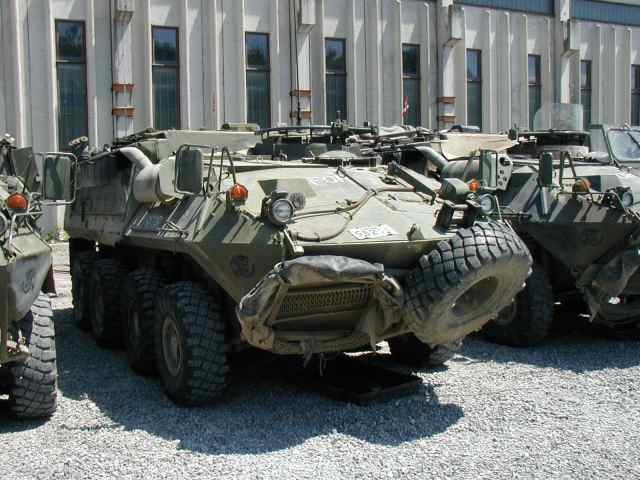 Canadian Forces armoured personnel carriers, at the CF base in Sipovo.